Nothing. It means absolutely nothing. When Carson Smith suffered a strained flexor mass muscle back in Spring Training and it was announced that he would miss the start of the season, there was some justifiable concern. 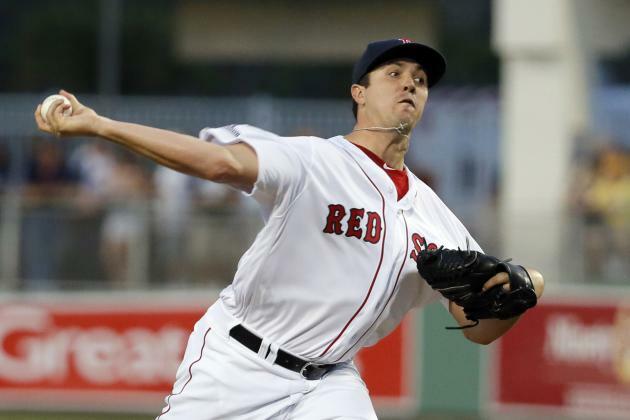 If you would have told me back in Spring Training that Carson Smith would end up undergoing Tommy John surgery and not throw a single pitch in for the Sox in 2016, I probably would have looked at it as a huge loss. He was destined to be the strongest middle reliever on a team that had a questionable pitching staff. That was before I knew that the Red Sox had one of the greatest offenses of all-time. It was before Jackie Bradley Jr. magically transformed into Willie Mays and before David Ortiz became the best 40 year-old hitter the game has ever seen. We all had a feeling they could hit, but no one knew they’d have seven of the best hitters in the league. For this reason alone, they should be fine. On top of that the pitching has been better than expected so far with the exception of Clay Buchholz. As far as relievers they have the eighth best bullpen in baseball, which is more than good enough when you’re getting solid starting pitching and your offense is absolutely flawless. So while Smith would have been a nice addition and it’s unfortunate that we might never see him take the mound again with this team, it’s not going to slow down this train that is the 2016 Boston Red Sox. They’ve started the season well enough without him and there’s no reason they can’t continue that way, barring any major injuries.